New Zealand is widely acknowledged as one of the most beautiful countries in the world, and regularly makes the ‘bucket lists’ of both serious and casual travellers of all ages and tastes. From its laid-back atmosphere and friendly locals to its stunning natural treasures, there are many reasons why the country is so popular with such a wide range of people. Below, we will delve into just what it is that makes New Zealand such a special place to visit, with the help of some experts who know the nation better than most. After exploring our guide, we’re confident that you will want to book your own trip straight away! There are so many wonderful holiday destinations to choose from, it can be very difficult for any one country to stand out above all the others. However, New Zealand is consistently chosen as a number one destination by all kinds of travellers, and there are many reasons why. Lotte, from the travel blog Phenomenal Globe, summed up for us why she thinks this beautiful island country is well worth a visit, whatever your holiday preferences, and pointed out some highlights: “New Zealand offers stunning scenery, mountains, lakes, beaches, grassy pastures and sandstone cliffs. One of the absolute highlights is the Fjordlands with majestic cliffs rising from the ocean and thousands of waterfalls falling down from impressive rocks. 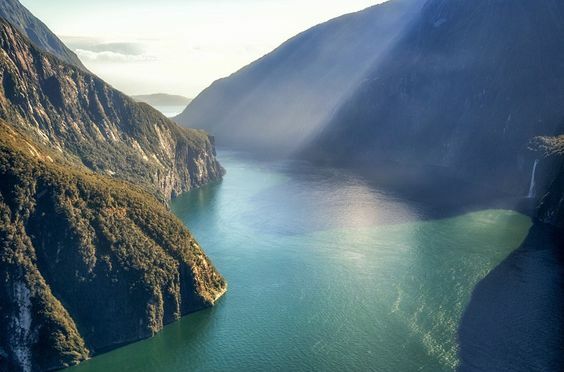 Depending on how much time you have, you can make a cruise around the Milford Sound (a couple of hours) or the Doubtful Sound (at least 2 days). There can be no getting around the fact that New Zealand is a very, very long way away from the UK! And, however much we may want to visit such an idyllic destination, doing so always requires a significant investment, at least in terms of the time it will take to get there and back. It is perfectly natural, therefore, to feel a little anxious about visiting somewhere that is such a long distance from home and the family and friends we are so familiar with. “Keep it green – New Zealanders take their environment very seriously and part of the culture and custom is to respect the land by keeping it clean always. Take all rubbish with you when camping and make sure you recycle! Don’t be afraid to say hello - New Zealanders are super friendly and it’s very normal to say hello to passers-by whilst on hikes or short walks. They are very relaxed and friendly people so don’t be afraid to smile. There is a great deal of both natural and manmade attractions to choose from in New Zealand, so we thought that it would be a good idea to look a little closer at these fantastic places to find out just what makes them so popular year after year with both locals and visitors. Read on for a variety of activities and attractions that will ensure you’ll want to book your New Zealand holiday sooner rather than later. 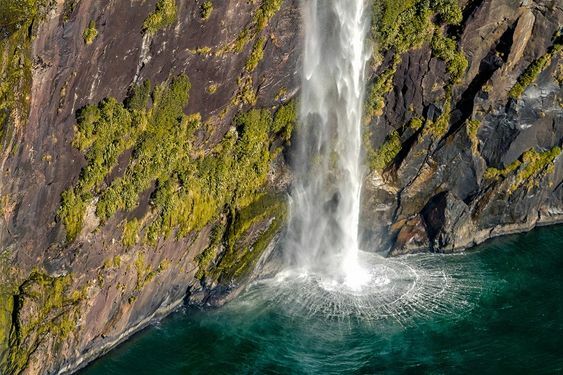 As mentioned above, one of New Zealand’s most famous and well-loved sights is Milford Sound, an area in the country’s South Island which is home to both incredible views and a rich array of wildlife. “Milford Sound is the most visited tourist attraction in Oceania for a very good reason. It’s a place straight out of a Tolkien fantasy novel mixed with Michael Crichton’s Jurassic Park, a pleasure for everyone’s eyes. 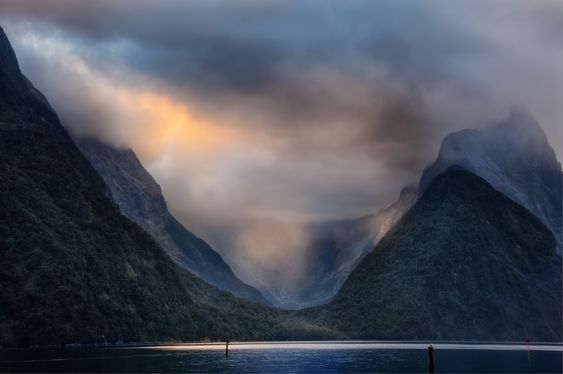 “The fact that it isn’t a sound but actually a fjord still makes me laugh and is one of several interesting characteristics about Milford Sound. “The cruise in and out of the ‘Sound’ is an experience like no other but for me, the highlight is the drive on the Te Anau-Milford Highway. One of the most spectacular drives in New Zealand, it’s a windy mountainous drive through lush forest, broken up by open valleys and flowing rivers. Many hikes and lots of reflecting ponds adorn the roadside. It takes around two hours of non-stop driving but could easily take a day depending on how much you stop and explore. We also heard from Cory, founder of the inspirational You Could Travel blog. Along with her husband, G, Cory travels the world and provides friendly yet comprehensive advice for others looking to explore the most exotic and far-flung of global destinations. 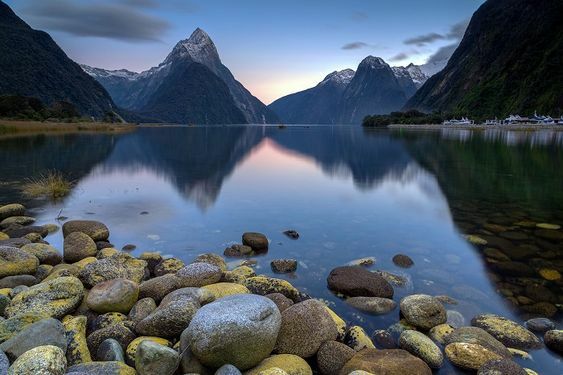 “Milford Sound in New Zealand is one of the most beautiful natural spectacles we’ve ever seen. The gorgeous tall fjords rising upright from the waters and lush vegetation will simply take your breath away. And if you thought this was not enough, imagine seeing seal pups chilling in the sun. “Getting to the Milford Sound can be done by car, coach or plane. As first-time travellers to New Zealand, we decided to rent a car as we wanted to be in control of our photography stops. Just make sure that you stop in Te Anau to get fuel, as there are no other petrol stations along the way. We drove from Queenstown to Milford Sound and on the way back, we stopped in Te Anau for the night. Our next choice of places to visit isn’t an attraction as such but a town. However, Rotorua – set on the lake of the same name on the North Island of New Zealand – is such a beautiful and exciting place to see that we thought it and the surrounding area had to be included in our guide. “Rotorua is known as the birthplace of New Zealand tourism. With Maori culture, pristine lakes, fertile forests and activities and attractions aplenty, come and experience everything that this magical region has to offer. Rotorua offers a holiday destination for people on all budgets and is easily accessible by land and air, being conveniently located in the central North Island. 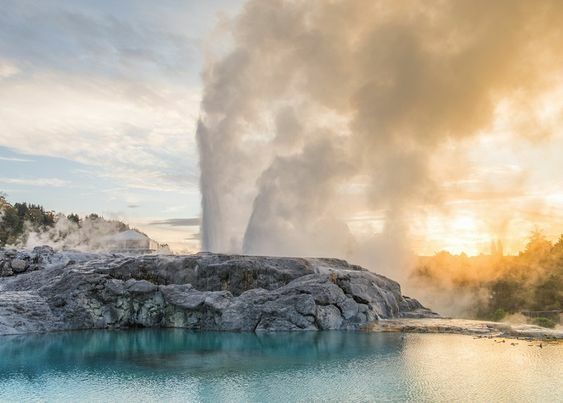 “Whether you’re after an adrenaline rush, something more relaxing or looking to discover the marvels of this geothermal utopia, you are sure to have an unforgettable experience in Rotorua. With activities and tours that suit all comers, this really is the perfect family, couple or mates getaway destination. “If you love New Zealand’s native forests, then Rotorua is definitely for you. You can hike through untouched, virgin rainforest, get a bird’s eye view up in the canopy, head off-road on a 4WD adventure or zip line through native NZ forest. Home to the amazing Californian Redwoods which are filled with runners, walkers and mountain bikers at all times of the day and if you are lucky you may even spot Pete’s Dragon. 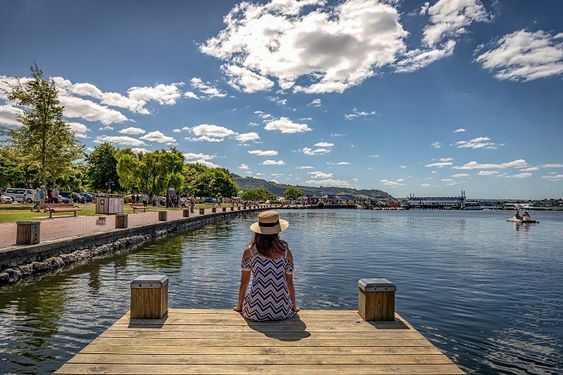 “Rotorua’s 18 lakes provide your perfect playground, and regardless of whether you prefer to be in, on, or beside them, there is something for everyone. Trout season kicks off from October or for a faster pace experience you can enjoy a jetboat joyride or find a boat and throw out the ski rope. You don’t have to be active though as there are plenty of spots to relax and unwind lakeside with a picnic. “Rotorua is the centre of Maori culture in NZ, offering genuine warmth of welcome and manaakitanga (hospitality), something that the Te Arawa Maori have been providing visitors to the Rotorua region for well over 150 years. Whether it’s an encounter with a Maori guide, a hongi greeting, talking to a carver or weaver, experiencing a hangi (food cooked in an earth oven), facing a haka or hearing age-old stories, visitors will be enriched by their Maori cultural experience. 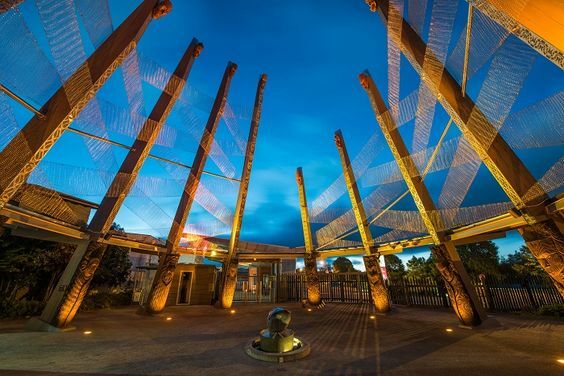 Also found in Rotorua is the marvellous Te Puia – a hub of Maori culture which will allow visitors to become truly immersed in the way of life of New Zealand’s indigenous population. The kiwi – New Zealand’s national icon, this nocturnal flightless bird is synonymous with the country and is abundant in Te Puia. However, the species itself is now endangered, with fewer than 100,000 in existence. Seeing the kiwi up close, as you will be able to on a tour of Te Puia, will be enough to convince you that this extraordinary animal needs to be carefully protected. The geothermal valley – No innovation of modern technology, no matter how advanced, could prove as fascinating as the geothermal valley at Te Puia. The Pohutu Geyser is just one of the many natural wonders you will see on a trip here – the largest such sight in the southern hemisphere, with eruptions taking place once or twice every hour. The various other hot pools found nearby have long been used as a wonderfully natural source of bathing and cooking water. Arts and crafts – The New Zealand Maori Arts and Crafts Institute, founded in the 1920s, can be found within Te Puia and will leave you marvelling at the depth and intricacy of the creations on display. From wood, stone and even bone carving to weaving, there are many ways in which high quality, durable and historically significant goods are produced here. Members of the public can even try their own hand at any of these crafts through the regular lessons offered. Architecture – Maori architecture is among the most unique and fascinating in the world and, at Te Puia, it can be viewed in all its original glory. From the intricate carvings which adorn both the interior and exterior of the houses at Pikirangi village to the site of the Te Puia pa fortified village, you will be amazed by the skill and dedication that was required to bring these homes and meeting places to fruition. You will already have gathered that one of the best things about visiting New Zealand is the chance it offers to explore some truly magnificent natural scenery. However, something that – depending on your thirst for adventure – actually beats sitting back and admiring the view is getting out there and really exploring the landscape by skiing down it! 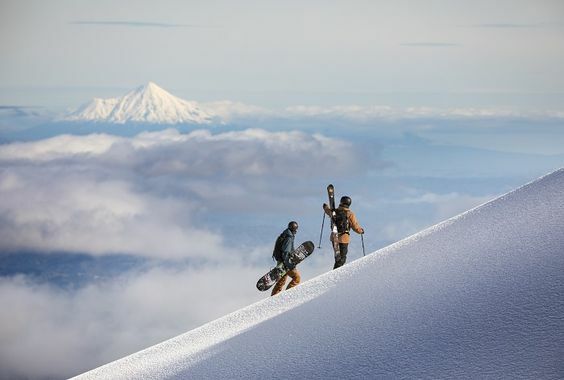 “Mt Ruapehu is home to two of New Zealand’s largest ski areas: Whakapapa and Turoa. It is NZ’s largest active volcano and is situated within a dual World Heritage National Park. “Located on Mt Ruapehu’s north-west facing slopes, Whakapapa is NZ’s largest ski area and home to the nation’s premier beginner playground: Happy Valley. Renowned for its expansive volcanic terrain, spectacular views, extensive beginner facilities and vibrant night skiing, Whakapapa is also home to NZ’s highest café, the Knoll Ridge. Whakapapa is also open in summer for sightseeing, hiking, and dining. 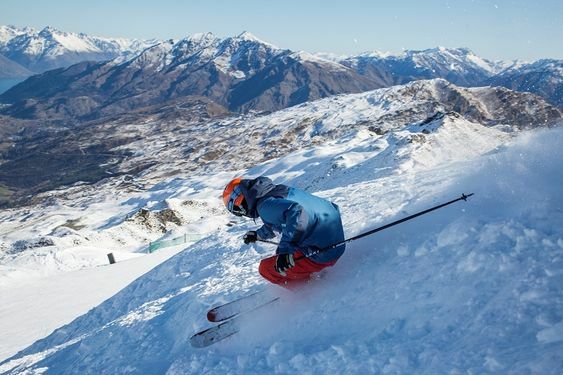 As mentioned, there are plenty of places for keen skiers to choose from in New Zealand, and one which has enjoyed great success in recent years is Mt Hutt, which can be found around 80 kilometres away from the city of Christchurch. “We take you on a big adventure! “[It is] a big mountain with wide groomed slopes, all-lift access for all abilities, top to bottom terrain parks with world-class jumps,” McKenzie said. “It’s Canterbury’s playground, with a friendly vibe, great customer service, and excellent facilities”, he added. A number of improvements have also been promised for the 2018 season, meaning that the skiing experience at Mt Hutt will soon be getting even better once it reopens in June. As well as the plentiful natural snow that Mt Hutt benefits from, it also has excellent snowmaking facilities meaning that, even if Mother Nature isn’t playing ball, skiers can enjoy the area’s slopes. Mt Hutt has promised that both capacity and capability will be increased in 2018, with 50% more water being pumped out by the resort’s ever-expanding fleet of guns. “This is Queenstown’s playground, the place where you’ll find everything you need in one day. Start with freshly-groomed trails at First Tracks from 8 am right through to Night Skiing on Wednesday, Friday, and Saturdays until 9 pm. Get lessons, put the kids in childcare and enjoy a wide range of food and dining options in the most picturesque locations. 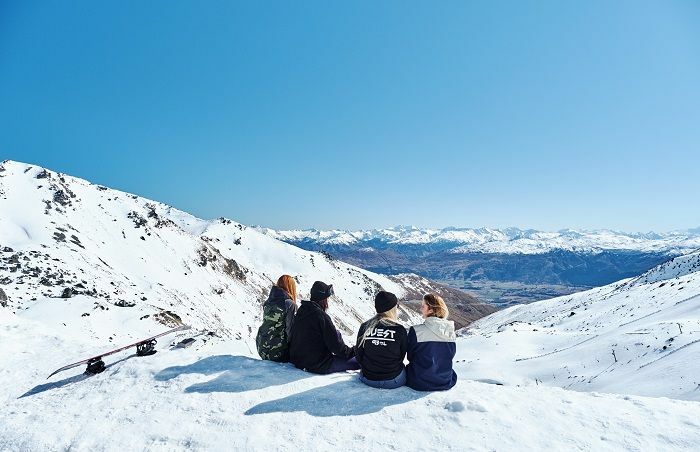 “Skiers and boarders of all abilities love the 280 hectares of open, rolling, varied terrain, while they take in spectacular views across Queenstown and Lake Wakatipu to The Remarkables Mountains. Attractions such as Heidi’s Hut and the Ice Bar are not only great for refreshment and relaxation, but they also offer those all-important, epic photo spots. “You can’t beat twilight and night skiing, now operating on Wednesdays, alongside Friday and Saturday nights from 4 pm to 9 pm. Imagine cruising down the mountain on well-lit trails under a starry ski with Queenstown glowing in the distance. 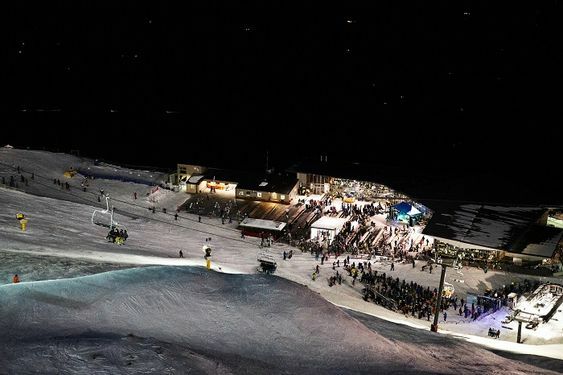 Sit down for an après pizza and drink near a roaring fire at the base building, while DJs spin tunes in the background. A number of new events are planned for night ski in 2018. 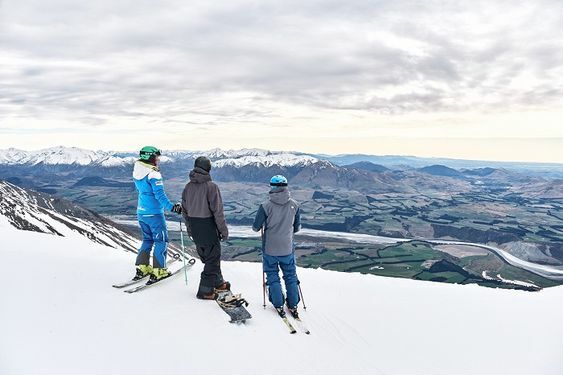 “Coronet Peak has something for everyone, whether you’re a novice or advanced skier. The beginner terrain has improved in 2018 with a more gradual progression configuration and a new conveyor carpet lift. There are also plenty of intermediate and advanced trails, as well as some of the best off-piste in New Zealand. “The famous Remarkables mountain range is where you’ll find your freedom. 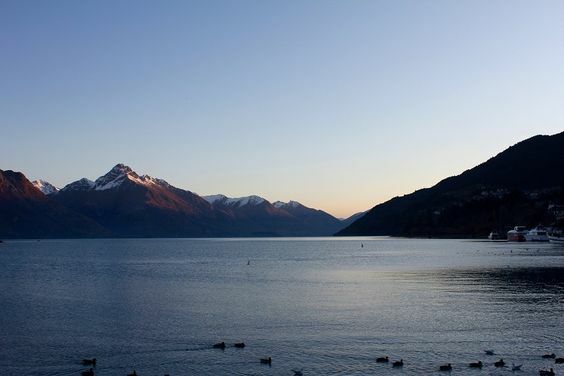 This is Queenstown’s mountain for the seriously committed. “In 2018, the learner terrain is growing by 70 percent with a new conveyor being installed to access the area. The additional 8,000m2 of learners terrain, directly accessible from the base building, will improve the experience for novice riders massively, providing another step to help them progress at an even more comfortable pace to the chairlift. Of course, you may appreciate the beauty of New Zealand’s mountainous landscape but not be particularly keen on skiing. If this is the case, be sure to check out the various packages available from the experts at Franz Josef Glacier Guides. An intimidating but beautiful glacier on the west coast of the South Island, Franz Josef can be explored in a number of ways, depending on your preference. 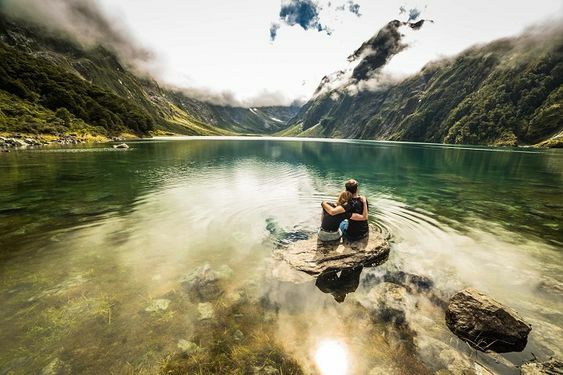 “From its origins high in the southern Alps, the Franz Josef Glacier descends deep into the lush rainforest of Westland National Park, offering novice clients the opportunity to explore the most spectacular environment available to the general public anywhere in the world. 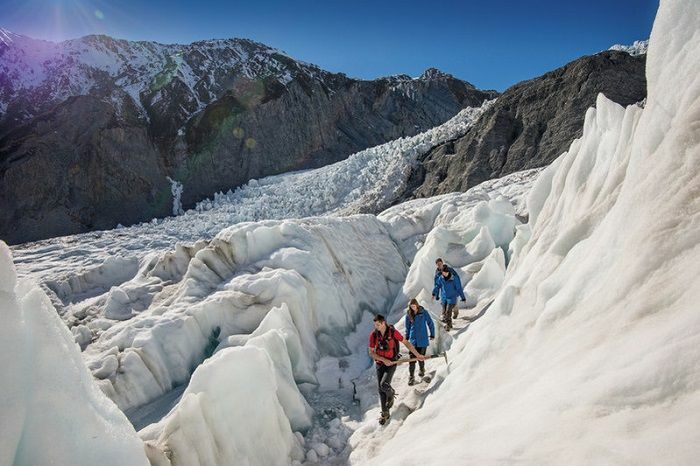 Franz Josef Glacier Guides is an internationally recognised guiding company that prides itself on providing the most incredible glacier experience. We make a clear commitment to our clients, that a trip with us is the most spectacular and rewarding available. This is shown by winning the Best Visitor Attraction product in New Zealand for the last 4 years running. “After an exciting heli flight, you will land high up on the glacier to undertake your hike on the fastest flowing glacier anywhere in the world to be guided on. This allows our experienced guides to show you the most pristine ice vistas and panoramic views of the surrounding mountains. You’ll be filled with a sense of awe as you explore a world of brilliant blue ice with amazing ice features around every corner. “A day packed with adventure. Provided with expert tuition and all technical equipment, this is a great way to introduce you to the exhilarating sport of ice climbing, whilst still enjoying the dramatic scenery and awesome terrain of the Franz Josef Glacier. Your guide will tailor the day to challenge novices and experts alike. No experience necessary. “Your Glacier Valley walk will take you up alongside the mighty Waiho riverbed following the glacier’s path of retreat in this remarkable landscape. Here you will learn about the glacier’s history, see what is left behind by this majestic giant, and learn the legend of Ka Roimata O Hine Hukatere. Near the terminal face, after a climb, you will be rewarded with spectacular views of the rapidly changing terminal face of the glacier. There has never been a more extraordinary time to visit the Franz Josef Glacier. 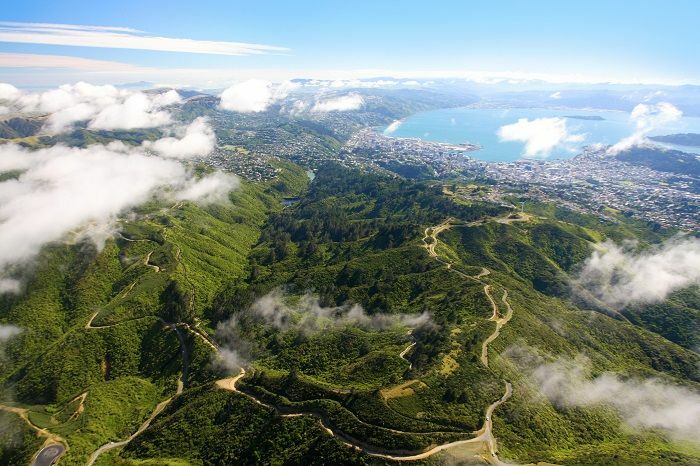 “Zealandia is the world’s first fully-fenced urban ecosanctuary, with an extraordinary 500-year vision to restore a Wellington valley’s forest and freshwater ecosystems as closely as possible to their pre-human state. 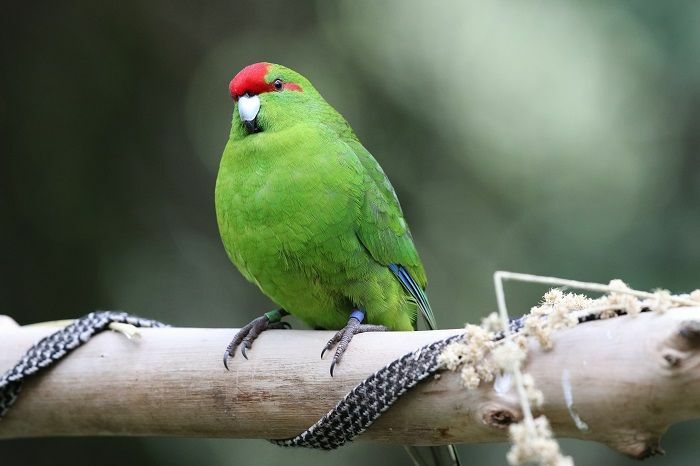 The 225-hectare ecosanctuary is a groundbreaking conservation project that has reintroduced 18 species of native wildlife back into the area, six of which were previously absent from mainland New Zealand for over 100 years. “Prior to the arrival of humans, Aotearoa (New Zealand) was isolated and unique. Without any mammalian predators, an ecosystem of remarkable flora and fauna had evolved – the likes of which could be found nowhere else in the world. Sadly, over the last 700 years, that paradise was almost destroyed by humans and the mammals they introduced with them. “Introduced predators decimated New Zealand's native and endemic species, who had evolved without needing defence from mammals for millions of years. Since human arrival, at least 51 bird species, three frog species, three lizard species, one freshwater fish species, one bat species, four plant species, and a number of invertebrate species have become extinct. 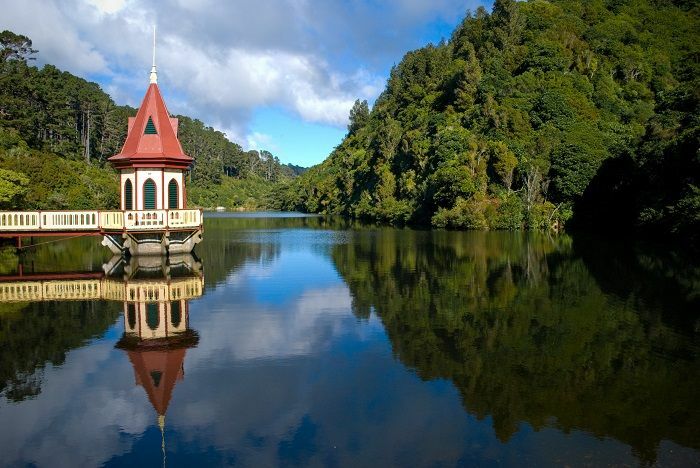 “Zealandia has a vision to restore this valley to the way it was before the arrival of humans. With its 8.6km fence keeping out introduced mammalian predators, birds such as the tui, kaka, and kereru, once extremely rare in the region, are all now common sights around central Wellington. Other vulnerable native species such as tieke, hihi, little spotted kiwi, and tuatara remain thriving safely in the sanctuary. “Zealandia is about the most biodiversity-rich square mile of mainland New Zealand in terms of the species living wild here. Over forty different species of native birds have been recorded in our sanctuary valley, twenty-four of them endemic (found in no other country). “Dozens of reptile species, hundreds of plant species and thousands of kinds of invertebrates have made Zealandia their home. Many of the animals and plants you will see at Zealandia are highly endangered, and some are practically extinct in areas not protected and managed like ours. 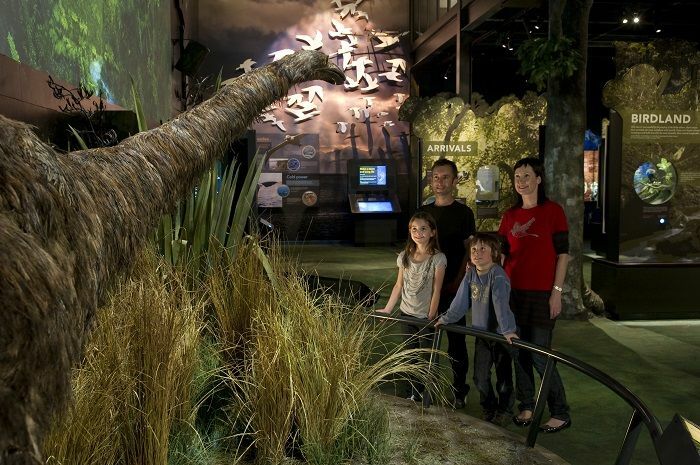 “Make the most of your visit to Zealandia with a guided tour! 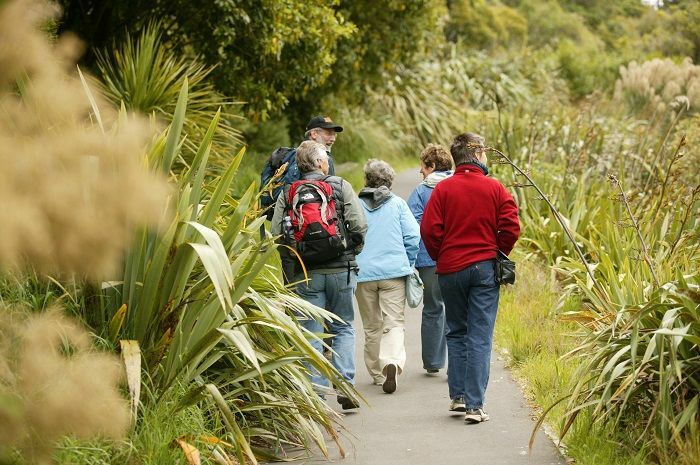 Enjoy all the sights and sounds of Zealandia with an experienced guide who will lead you through the sanctuary valley. Soak up the beautiful scenery while learning more about New Zealand’s unique ecological history. And there you have it! As you can see, you will certainly not be short of things to do on your next trip to New Zealand. Compared to holidays to Europe, it may be tricky to find no-fly Southampton cruises that go straight to this glorious part of the world, but we can guarantee you that – however you get there – you will not regret spending the time it takes to explore what may well be the most beautiful country of them all.